I loathe dusting. But I also loathe dust and am a bit of a dust collector... collector. 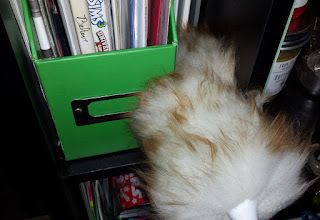 I find microfiber cloths too scrubby for dusting my collectibles and they don't always fit into the little gaps in my bookshelves. So I picked this up because it was small enough to do the jobs I wanted and then get tucked away in my desk drawer. It does shed a little upon first use so you may want to give it a good shake or two outside to let the fluffy bits go. I loved how gentle it was on my boxes and books while actually picking up the dust. Notes: Product received for free in exchange for an honest review. Product Details: Give your car the care and upkeep it deserves with the Genuine Australian Lambswool Car Interior Duster by Lush Ride. Regular interior cleaning helps preserve your car's looks and value, and gives you the most comfortable drive. Genuine lambswool performs better than similar microfiber or cloth car dusters, which may only push around dust and scuff delicate surfaces, or spray on finishes that can leave behind an oily residue. The Genuine Australian Lambswool Car Interior Duster by Lush Ride generates a static charge that effortlessly and gently attracts and removes dust - it's simple, effective and delivers professional car interior detailing results with the wave of a hand! 16" length is optimized for easy, comfortable and convenient use in all size cars - it's big enough to get the job done, compact enough to fit snugly in your car door storage slots. To clean this genuine lambswool duster, simply shake it out or spin it to remove dust for good, or hand wash when necessary. This outstanding duster is also versatile - use it anywhere around your home or office to make dust disappear quickly and easily. Keep shelves and books dust free, clean delicate collectibles and knick knacks, dust window sills and corners, video screens, and much more. Our Genuine Australian Lambswool Car Interior Duster makes a lovely birthday or holiday gift for car enthusiasts, sons, dads and grandfathers, new car owners, or anyone who appreciates the perfect car interior detailing tool to maintain their ride looking like new! It's no secret if you follow me anywhere on social media that I am a big Star Wars geek. 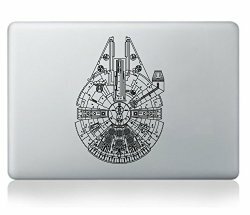 I had initially hoped to use this sticker on my laptop as shown in the default product photos but I wasn't thinking about the fact that it's dark and my laptop is dark. So when it arrived it took me a while to finally decide where I could possibly use it. Then I happened to move my Kitchenaid mixer and realized the perfect placement was looking me in the face. Unfortunately there was an odd flaw in the vinyl on mine that wasn't noticeable until I pulled it up off the backing. That said though, you won't find it in my photo unless you know where to look. 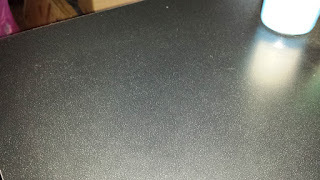 It's not a problem where I'm using it but if you find a similar issue you may not want it on your laptop. I do also recommend having a good squeegee handy for smoothing out the bubbles during application. All in all, I'm really happy with it. It look great on my mixer. 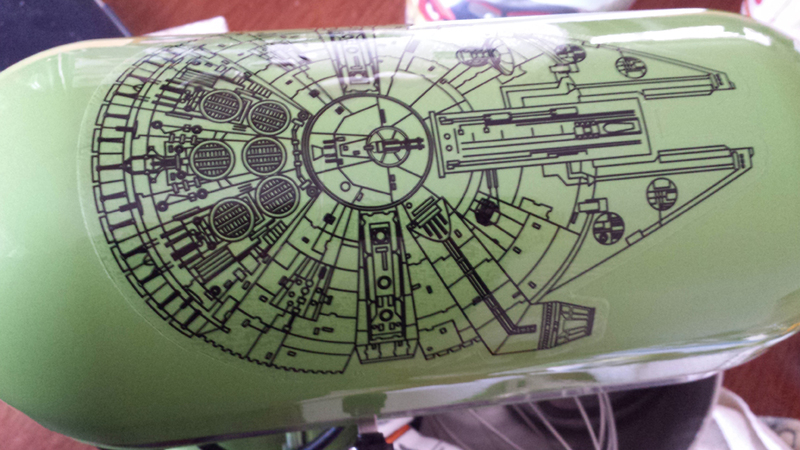 Now I need some Star Wars quote stickers for the sides. Cadets Go! Join this team of darkness-fighting, world-saving, power-packed teen girls from all over the world on their first adventure! Ugh. I hate admitting that this as pretty much my first foray into the Magical Girl genre. I've always found it a bit of a genre I'm curious about but afraid to dabble in because it seems like it could be so cheesy and awful. Fortunately, Crystal Cadets was a really enjoyable—if a little far-fetched feeling—place to start. I know, you're scratching your head wondering why I'd say far-fetched in about a comic featuring girls who have crystals that give them special powers...? It's not that bit that gave a bit of eye roll, it was how the characters ran off on their adventure with seemingly no concern for their foster/adoptive parents/families and it all just kind of felt silly. That said, it's a pretty neat concept and if my daughter was a couple of years older I think she would love it. 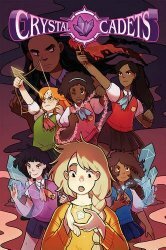 Definitely perfect for the target age group but maybe not so much for the adults who thought it might be a more manga-like version of Lumberjanes. If you're looking for a fun adventure comic to get a get for a girl who is a newbie I highly recommend it! Looking to Kick Sugar? Not so Fast! Read this first. 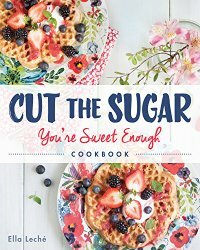 With emphasis on real, nutrient-dense whole foods—all presented deliciously and beautifully photographed by Ella herself and written in her encouraging, upbeat, grounded voice—Cut the Sugaris an inspirational and accessible guide to the sweet life . . . because you’re sweet enough already! My sweet tooth is notorious in my social circles. I lose all shame when it comes to snagging the last donut or cookie. I never turn down a second slice of pie or scoop of ice cream. Most people keep office supplies in their desk drawer. I keep gum and candy. And like most addicts I go through cycles of wanting my drug of choice out of my life only to get low and fall back into its loving arms. Most books I've encountered pretty much demand cutting out all sugars and I'm pretty sure if I did that my system would be shocked so bad I'd be sick. But the approach of Cut the Sugar, You're Sweet Enough surprised me. The emphasis on quality food that provides much needed nourishment without added sugars instead of eliminating all sugars seems far more reasonable and healthy, not to mention easier to sustain in the long term. I was really impressed with the recipes because I really thought most of them would be boring and full of hard to find ingredients. Instead, they include lots of delicious naturally sweet whole foods like dates and sweet potatoes and ones that can provide the creamy texture many sweets have like avocado. While I don't anticipate cutting my favorite sweets out of my diet any time soon, for the first time I feel like someone out there has a way to still enjoy the sweet life without allowing for the fact that food can and sometimes should be a pleasure. Product Details: Looking for a yoga mat that gives you both comfort and stability? 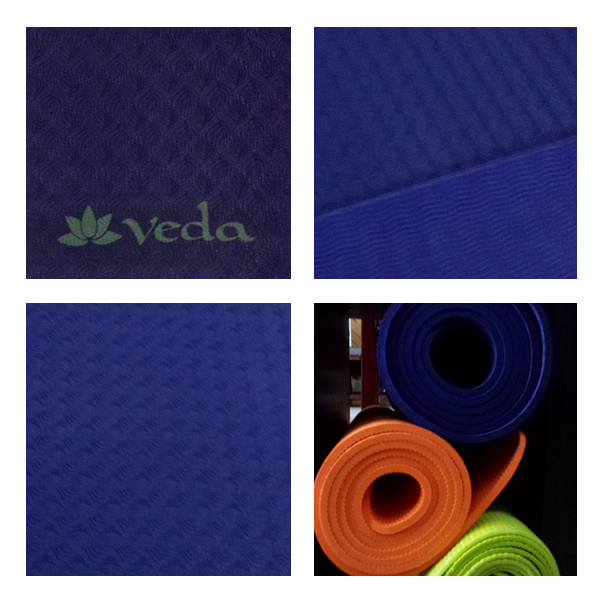 The Veda Yoga mat is designed with you specifically in mind. Thick enough to give you comfort on the joints yet firm enough to hold your balance in the most challenging pose. The Veda Yoga mat is manufactured free of harsh toxic chemicals such as BPA and phthalates and is the safest choice in yoga mats. 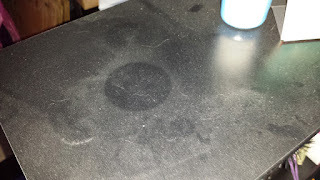 The moisture repellant surface keeps your mat fresher for longer whilst giving you stability and traction. To keep your mat clean and door free, clean regularly with any yoga mat cleaning product, wipe down with a damp cloth and hang to air dry until completely dry. No matter what new workout I try, I always come back to yoga or pilates and I just cannot do either without a good mat to support my body. I have a pretty big collection of mats and I like them all but some I love more than others and the Veda is one of them. It's distinguishing features that have put it above the others are the excellent texture on both sides, the exceptional thickness paired with great cushioning, and the beautiful indigo color. Unlike many I've used it didn't stink when I received it either. For the price it's one of the best mats I've used so it's not only a great mat, it's also affordable. I don't own a mat I wouldn't recommend yet but this is one I would recommend first. I really hope they add more colors because this is one I plan to recommend to friends and fellow POP Pilates enthusiasts a lot. Notes: Review Copy received in exchange for an honest review via NetGalley. Everyone’s favorite nutbucket continues her big-city adventures! Practicing shrink, property manager, animal lover, hopeless romantic—complete and utter crackpot. She might be a lunatic, but she’s never boring. 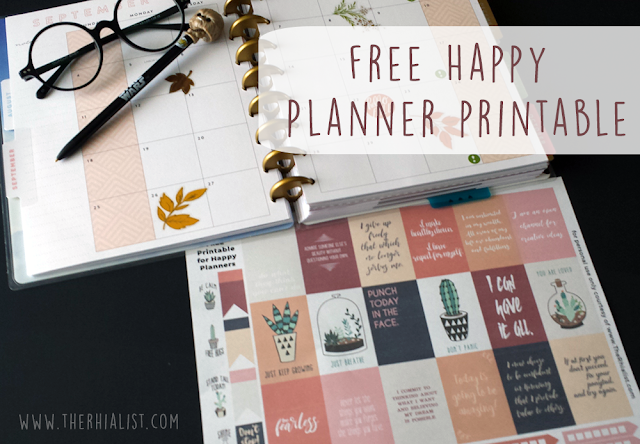 This year has been especially off-the-wall cuckoo-bananas exciting—and Harley has precious little time left over for her mission of do-gooding. Time to expand her operation with her very own team of assistants! But only the best can be trusted to spread Harley’s values of honor and trustworthiness and insubordination. The hiring process will be competitive—and bloody! And that’s not all! 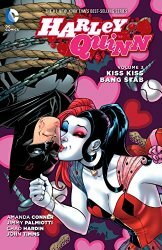 In this volume, Harley also breaks into Arkham Asylum to save her bestie Poison Ivy, falls hard for dashing millionaire Bruce Wayne, and spreads her own unique brand of holiday cheer. Featuring celebrated writers Amanda Conner and Jimmy Palmiotti and artists Chad Hardin and John Timms, with guest artists Ben Caldwell, Mauricet, Darwyn Cooke, Brandt Peters and more. Collects issues #14-16 of the ongoing series as well as ANNUAL #1, HOLIDAY SPECIAL #1, and VALENTINE’S DAY SPECIAL #1. I was always kind of meh on Harley Quinn. Sue me, I tend to balk at characters that everyone fangirls over at first. But I couldn't resist picking up this book and I'm glad I did, it's hysterically good. I finally dig Harley and I think others who might have been a little afraid to get invested in her before will too. If you need the perfect chill in bed reading a good comic kinda book, look no further. by Carmen Oliver (Author), Jean Claude (Illustrator)Notes: ARC received via NetGalley. With my youngest child a kindergartner she is quite the avid little reader. I love that her school pairs kids in higher grades with younger reading buddies so I couldn't resist sharing this book with her. Together we devoured it and then devoured it again. The illustrations are so fun we both sat and talked about the pictures even after we had read it. 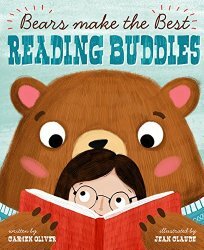 If you're looking for a short bedtime story to introduce your child to the idea of learning to read, making friends, and attending school I think this is a terrific book. Your preschooler is sure to love it. Want to try meditation in the new year? This one tool will help. USE FOR ANY MEDITATION TECHNIQUES, Extremely EASY TO PLAY and an Excellent Gift for a BEGGINER or ADVANCED Meditation Practitioners. Packaged in a box perfect for gift giving I was quite pleased to receive this beautifully painted Tibetan singing bowl. 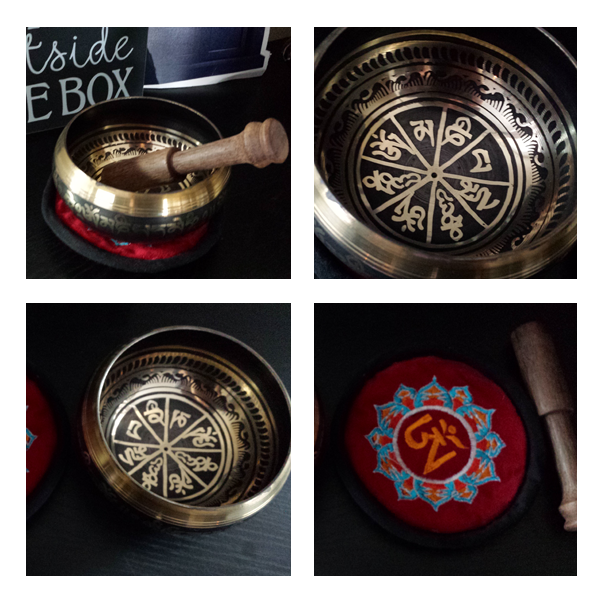 In recent months I have discovered how strongly sound and vibration play into my stress levels and tension I experience in my body so I wanted to give a singing bowl a try as a form of soothing sound. This one is wonderfully resonant and while I don't find it helps me with meditation, it is a great way to quickly center myself during times of stress... of which I have had an exceptional lot lately. Aside from its use as a relaxation and meditation device, I actually find it exceptionally beautiful. I wish it came with a guide to explain the various things painted on it and that is one flaw I feel worth noting. The other is that the mallet doesn't feel well balanced which makes using it a little awkward. Overall, I am very pleased with it, however, and would gladly recommend it to other first time users.